1. 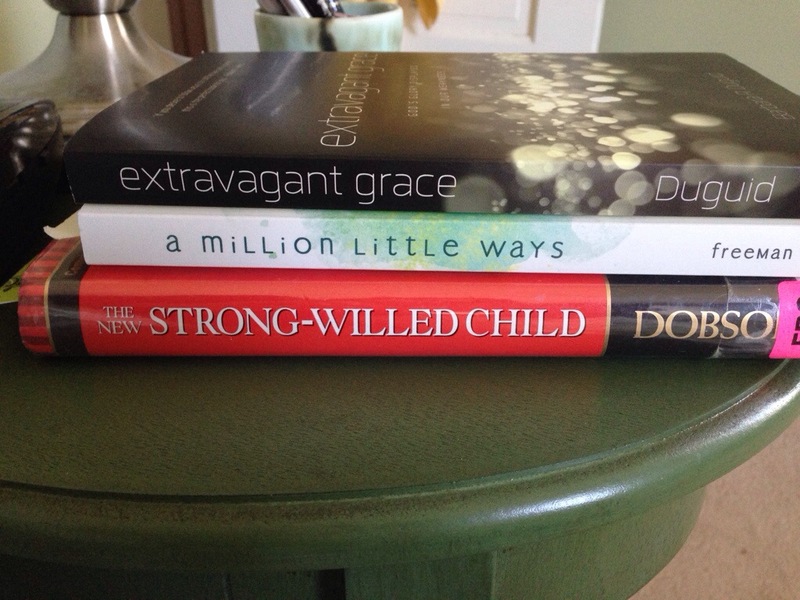 Extravagant Grace by Barbara Duguid is one I haven’t yet started. But I have heard so many raving reviews about it, both on Amazon and through friends, that I am featuring it in faith that I’ll also love it. Another reason I’m confident that I’ll love this book is because the author was one of my distance-ed students through the Christian Counseling and Educational Foundation. The class was no easy one – “Counseling and Physiology,” taught by Dr. Mike Emlet, exploring the connection between soul and body through a variety of counseling situations including bipolar disorder, OCD, and depression. Her papers were the top of the class – beautiful writing, grace-infused, thoughtful and our emails back and forth were characterized by the same gracious quality. I cannot wait to read an entire book by her. Want to join me? Leave a comment – and/or send me your thoughts/review for a future post (counselinginhope[at]gmail[dot]com). Perhaps those who make art in the ways we traditionally think of art give the rest of us a framework from which to live our lives. They offer a gift of knowing what life could look like if it were handled more like a mysterious piece of art rather than a task-oriented list. We may not all have the same skill or training as do the painters or the musicians, but we all bear the image of a creative God. …being an artist has something to do with being brave enough to move toward what makes you come alive. … Art is what happens when you dare to be who you really are.